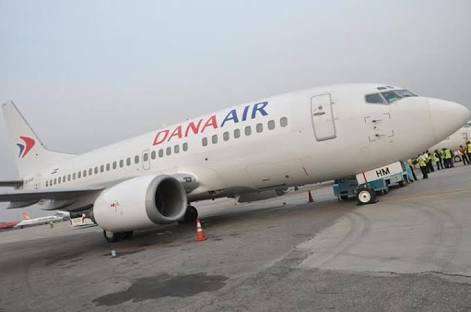 Dana Air has announced that it will commence flights to Kaduna on March 8, 2017, following the imminent closure of the Nnamdi Azikiwe International Airport for Rehabilitation. The airline said it will operate four daily flights from Lagos to Kaduna at 7.02am, 10.53, 13.23pm and 18.25pm, while there will be one flight each from Uyo and Port Harcourt to Kaduna keeping strictly to its scheduled time of departure. He urged passengers to take advantage of the airlines’ low fares and newly introduced Self Service kiosk at MMA2, which enables its passengers to book Dana Air tickets quickly and conveniently without having to queue or wait for too long. Only recently, Dana Air having flown a record 4.5 million passengers in the last eight years of its operation, entered into an airline partnership with the Imo State Government to boost tourism, business activities and employment opportunities in the state.